The Rio Tularosa Project is designed to examine the development of community groups from the tenth century (early prehistoric sedentism) to the early twentieth century. Native American groups settled in Tularosa Canyon, utilizing the variety of resources present, to establish the first permanent or near-permanent villages and dispersed communities. 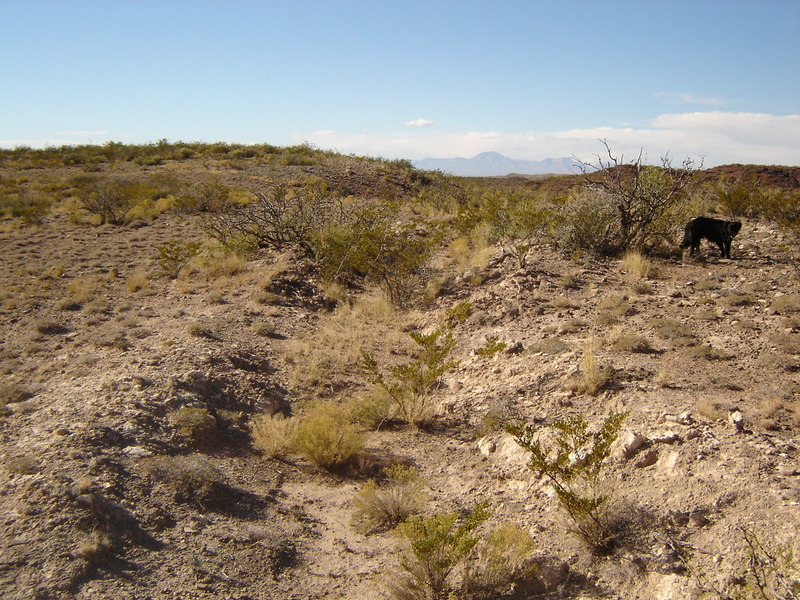 With humble beginnings as loosely organized pit house settlements, the Jornada Mogollon social organization evolved into more concentrated settlements, incorporating the use of contiguous, masonry architecture. Room blocks were limited in size, often represented by houses numbering from four to perhaps ten rooms. Remaining dispersed along the Rio Tularosa and positioned on elevated terraces and ridges above the fertile floodplain, these settlements continued to represent dispersed communities possibly incorporating the use of irrigation systems. Recent observations within Tularosa Canyon have identified two large, circular depressions with encircling berms. Although the function of these features has not been confirmed, they resemble structures documented elsewhere as great kivas. 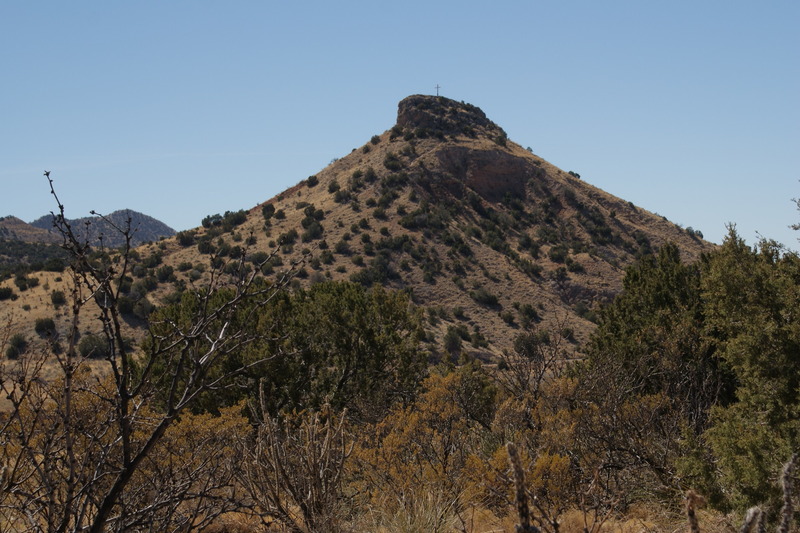 The occurrence of similar features has not been reported in the Tularosa Basin previously. Their presence may indicate greater interaction and association with groups located farther north. Historic settlement and land use along the Rio Tularosa mimicked that of the Formative period. Homesteads were loosely scattered along the river near arable soils. 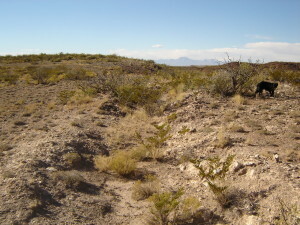 Much effort was invested in the construction of acequia systems (remnants of which can be seen in the photo, right) on both sides of the Rio Tularosa (perhaps representing reuse of prehistoric irrigation features), and settlement aggregation occurred near Blazer’s Mill (from the confluence of the North and South Forks of the Rio Tularosa to near Bent) and within the Village of Tularosa. Largely divided along ethnic lines (Anglo vs. Hispanic), these settlements competed for Rio Tularosa water for agriculture and domestic purposes, leading to sporadic confrontations between the two groups. One such conflict between the Hispanic settlers of Tularosa and the Mescalero apaches occurred at Round Montain (seen in the photo, below right).The establishment of the Mescalero Apache Indian Reservation at the confluence of the North and South Forks of the Rio Tularosa further diminished the flow of the Rio Tularosa. Remnants of farmsteads are visible today along the small irrigation systems that parallel the Rio Tularosa; these farmsteads (houses, dugouts, and ramadas) possess an invaluable amount of information about the tumultuous times associated with early historic settlement in the Tularosa Basin and specifically about land-use practices along the Rio Tularosa. Investigations have been conducted sporadically within portions of Tularosa Canyon since 1973. In 2002, renewed interest began to focus again on the greater extent of the canyon from the confluence at Mescalero to the Village of Tularosa with the objective to map the acequia systems that are present. Numerous sites were noted in association with the acequia systems, and several have been recorded. Some have demonstrated that they will yield considerable information about Territorial period settlement patterns, land-use practices, ethnic associations, and exchange, acquisition strategies, and economic factors during this time period. local members (including room and board options). This program is directed by David H. Greenwald, Director of the Jornada Research Institute. Mr. Greenwald has focused upon the history and archaeology of Tularosa Canyon since 2002 and has developed a keen understanding of the resources that occur within this 16-mile-long feature of the Tularosa Basin, sharing his knowledge with all who wish to participate.